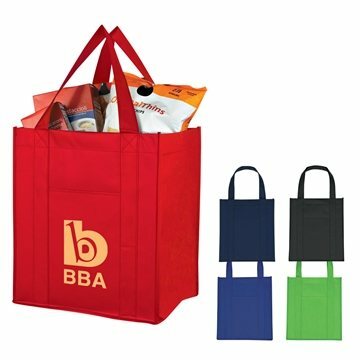 Made Of 80 Gram Laminated Non-Woven, Coated Water-Resistant Polypropylene. 10" Gusset With Matching Covered Bottom Insert. 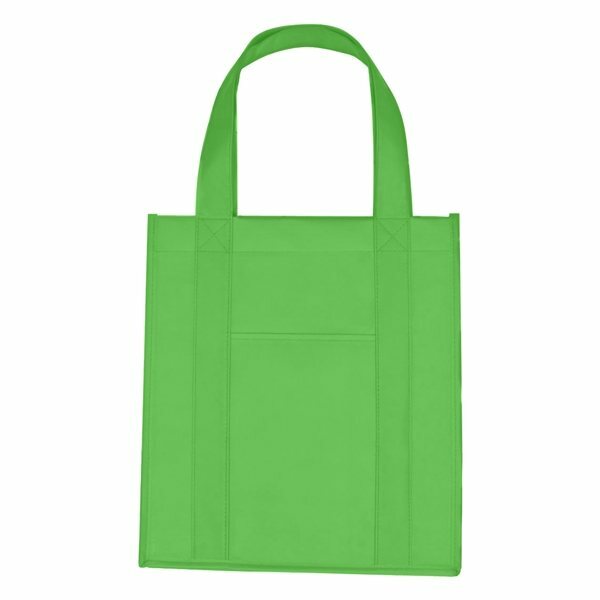 The Avenue Reusable Shopper Tote Bag - 12" x 13"
My guests were very happy to receive something they can use. Met our anticipation! The logo design came out great. Overall, the product is classy looking. Proofing was a positive experience.